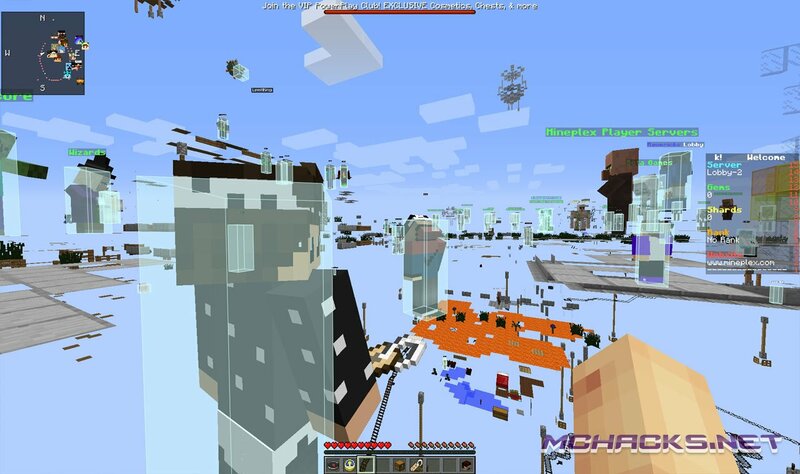 Impact hacked client now works with the latest version of Minecraft 1.11. 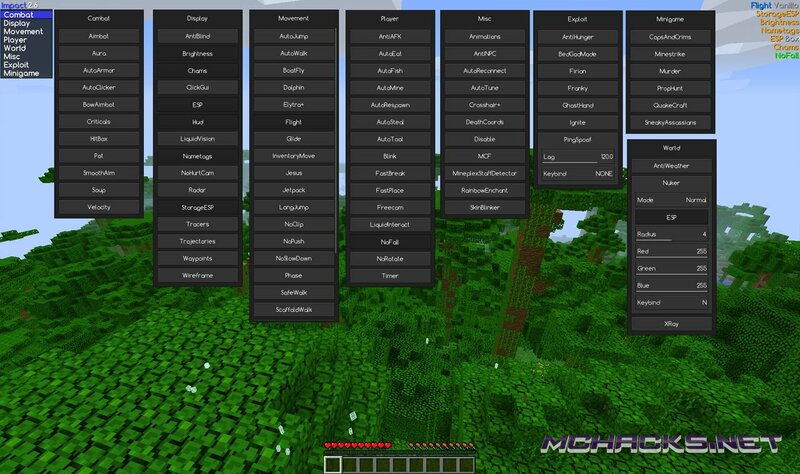 It has over 90 mods and is easy to install and use and comes bundled with the OptiFine mod. This client might work for Realms (not tested though). Join the game as a spectator. Once in spectator, go on the ground and spam the spacebar for 10 seconds. Wait for the next round to start and it should work. Please note: this process must be redone for any minigame you want to play.